Guide for Eastern Florida State College theatre students. 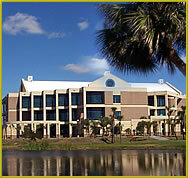 Email an EFSC librarian and receive a response within 24 hours. Eastern Florida State College students, faculty, staff, and community patrons must get their Photo Identification Card/Library Card at a campus security office. For more information please visit EFSC Campus Security. The ID Card allows you to check out materials from the EFSC Libraries and serves as your identification card at the College. You do not need the card to log-in to EFSC Libraries eResources. Enter your B number in the "Borrower ID" field (example: B00999999) and your six-digit birth date as the PIN for access. Log-in Help.